Travelling south in northern New South Wales, I reached Smoky Cape on 13th June 1987. Nagaoka 5×4″ field camera, probably Linhof Schneider Symmar 150mm, Fujichrome 50. This is a view of the lighthouse and cottages from the coast to the north. You can see the rock out to sea which may have been part of the reason for the lighthouse to be placed there. 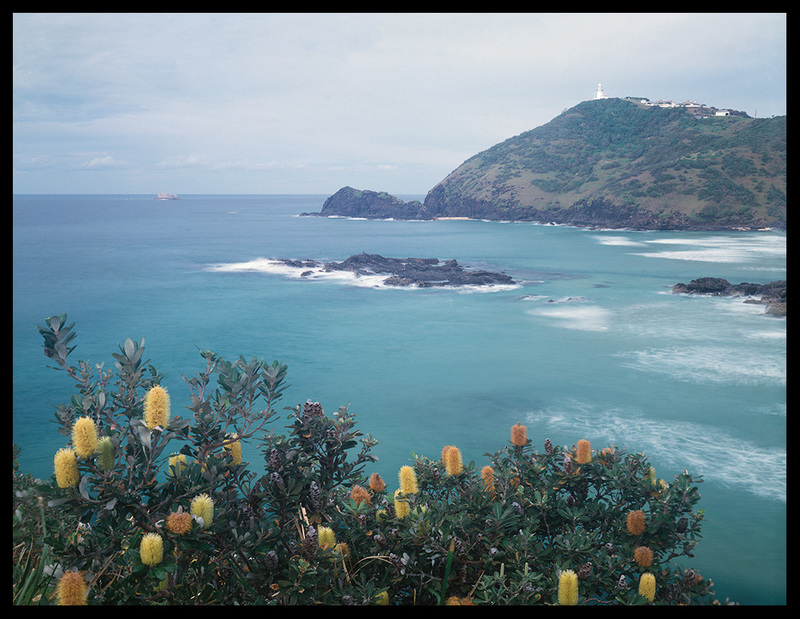 The plant in the foreground appears to be Banksia Integrifolia, which is usually a tree but can be a shrub, especially in marginal locations such as this exposed coastal site. This might be a shrub but it could also be top of the tree growing further down the cliff. Across the bay you can see the lighthouse and the characteristic cluster of keeper cottages at the top of the point. The Smoky Cape lighthouse was built in 1891. 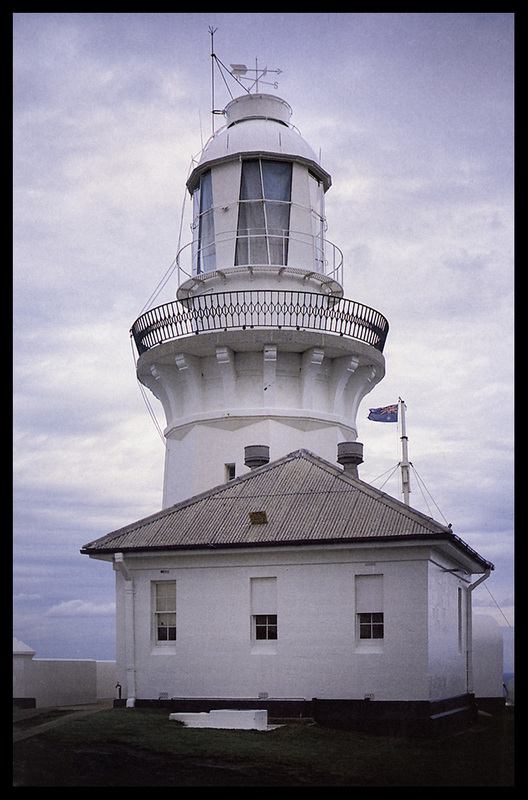 This entry was posted in Australia, From Dusk Till Dawn and tagged Architecture, Australia, History, Landscape, Lighthouses, New South Wales, Photography, seascape, Smoky Cape, Travel.